Samsung is expected to take the wraps off its 2019 Galaxy A-series sometime in Q2. Samsung debuted its Galaxy A series smartphones back in 2014. The Samsung Galaxy A series of smartphones stand out for its looks and glass-metal combination. Samsung is now coming up with 2019 version of the Galaxy A5, which is rumored to be called ‘Galaxy A50’. 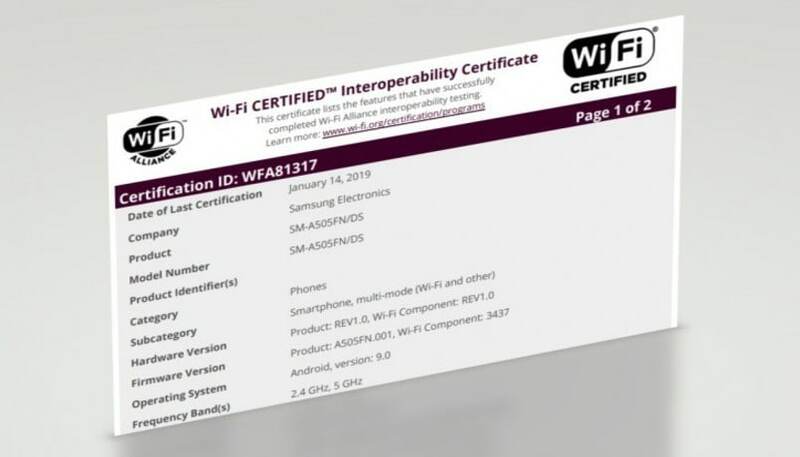 New details about the smartphone have now emerged online after it received Wi-Fi certification from the WiFi Alliance (WFA). According to the listing, the Samsung Galaxy A50 will support Wi-Fi 802.11 a/b/g/n/ac connectivity. Along with it, the Wi-Fi certification also revealed that the smartphone will run the latest Android 9.0 Pie out-of-the-box. Spotted by GSMArena, there are likely to be two variants of the upcoming smartphone. One is expected to come with single-SIM support, and the other with dual-SIM support. The previous GeekBench listings of the smartphone reveal that it bears the model number SM-A505FN, but the Wi-Fi certification shows SM-A520FN/DS, which is most likely for the dual-SIM variant. Prior to the Wi-Fi certification, the Galaxy A50 was also spotted on the Geekbench benchmarking website. What can be confirmed from the Geekbench listing and the Wi-Fi certification is the OS, Android 9.0 Pie. Going by the Geekbench listing, the upcoming smartphone is likely to be powered by an octa-core Exynos 7 9610 SoC. The processor offers four Cortex A73 cores clocked at 2.3GHz and four Cortex A53 cores clocked at 1.6GHz. The chipset is being aided by Mali-G72 MP3, which will be responsible for all the visual and gaming activity. Leaks further suggest that the Galaxy A50 could feature an OLED screen with an in-display fingerprint scanner, and also sport a 24-megapixel rear camera. The smartphone is also rumored to be backed by a 4,000mAh battery and come in two different variants of 4GB RAM with 64GB of storage and 6GB RAM with 128GB of internal storage. 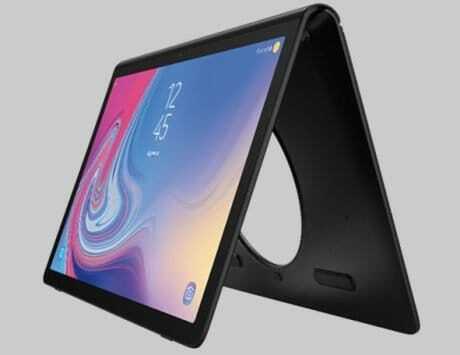 Other than that, there has been no other information about the Samsung Galaxy A50.